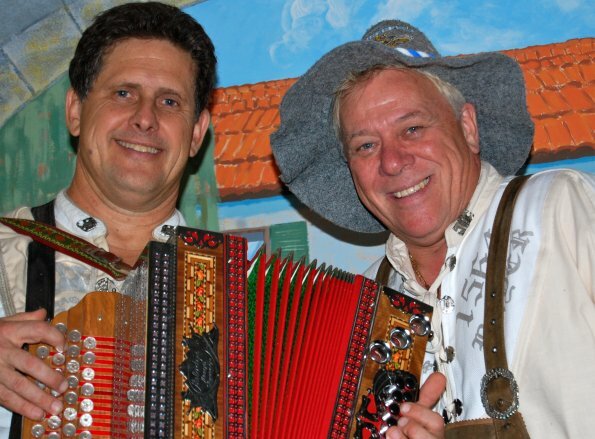 This Orlando German Band provides a fun-filled evening of traditional German folk entertainment complete with music, singing, yodeling and folk instruments. The accordionist sings and plays button and piano accordions with rhythm machine and MIDI bass. 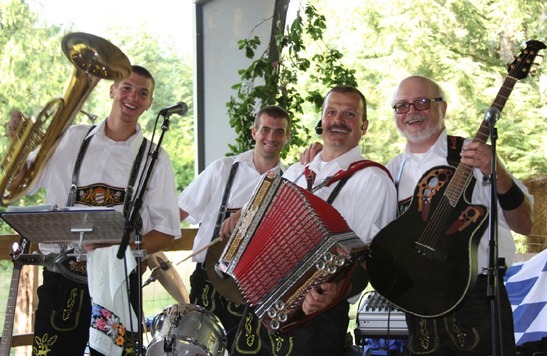 The other musician in the group joins in the fun with vocals, yodeling, the Alpine Horn, Singing Saw, Alpine Bells, Soup Spoons, Wooden Laughter, and the Musical Schnitzel Baster. 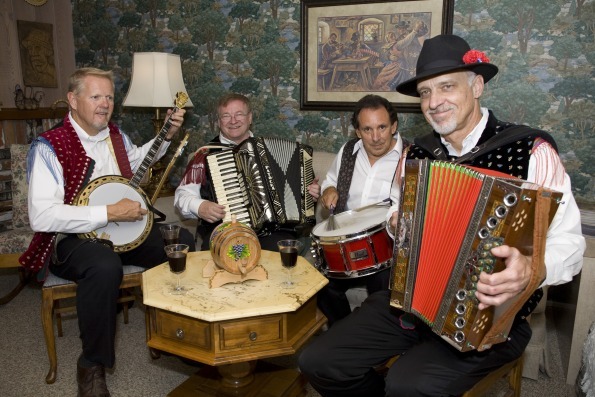 It's an evening you won't forget with sing-alongs, the traditional "Ein Prosit" toast, the birdie dance, audience participation, comedy, polkas, waltzes, and more. 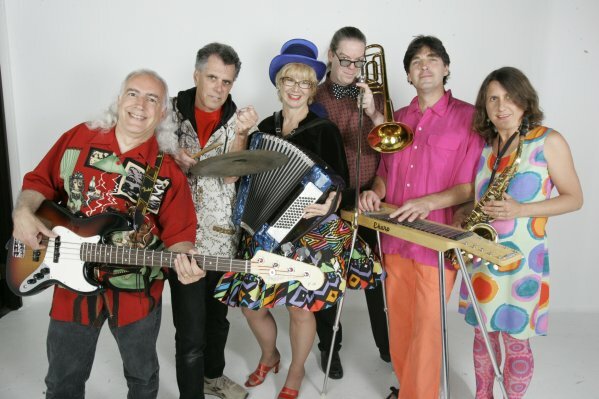 Whether you want a show, dance music, or both, call on this Orlando German Band for a memorable evening of Gemuetlichkeit (Good cheer, fun, and atmosphere).